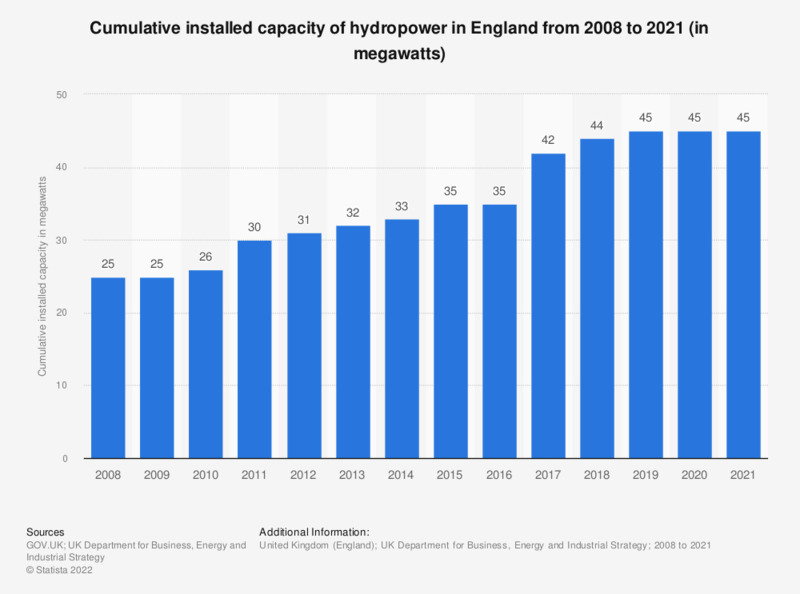 This statistic shows the cumulative installed capacity of hydropower in England from 2008 to 2018. In 2016, 35 MW energy was produced by hydropower facilities in England. This was a slight drop from the previous year. However, there was an increase in 2017 and 2018 with the cumulative capacity amounting to 42 and 44 megawatts respectively.